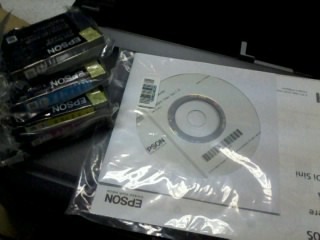 I decided to purchase an Epson Expression ME-10 as a backup printer in printing confidential documents like cheque and other finance matters. Just like other office setup, confidential matters should not be printed in public or general use printers. The main task or purpose of this printer is to print bank checks having a custom size (I think 2x 6?) and few A4 size documents. Keep in mind that this printer is not designed for heavy usage. Epson ME-10 has a print speed of up to 24 ppm in draft mode, which I think good enough to print 10-20 pages in a few minutes. 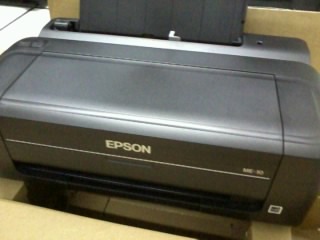 Epson ME-10 is an inkjet printer with four-color ink cartridges. Individual cartridge cost 340 -360 pesos on colored and P185 –P200 on black. Cartridge price is a little bit cheaper than the previous printer we already used like T10 and T13 that cost almost P500 each. Ink model for ME-10 is 166 / 166XL, different from T10 and T13 that is both compatible with 73N. By looking on its ink tank, you will notice that it is almost the same with 73N. Standard black ink can print up to 130 pages and colored can take 220 pages composite yield. I was surprise when the unit arrived, by looking on its box you will notice the printer size is smaller than their previous models. This is why Epson ME-10 considered as the world’s smallest A4 desktop printer. ME-10 weighs 2.3kg and a dimension of 15.4 inches length, width of 8.5 inches and a height of 5.1 inches. Printer is compatible on Windows XP/XP Professional x64 Edition/Vista/7 and with Mac OS X 10.5.8, 10.6.x, 10.7.x. You may download the drivers online on Epson drivers page or you can use the the CD-ROM containing the printer drivers and software included on the box. 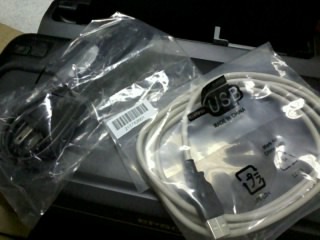 It supports Hi-Speed USB 2.0; USB cable is also included in box along with power cables. Connect the USB cable and plug-in to turn on the printer. It will automatically prompt you for drivers, just insert the Epson ME-10 installation disk to locate all the drivers needed. Follow the installation will until Finish. For ink cartridges installation you can follow on the manual included or you can also do it on printing preferences under maintenance tab then click Ink cartridge replacement.